This cake was made for a young racing enthusiast who celebrated his 6th birthday yesterday. 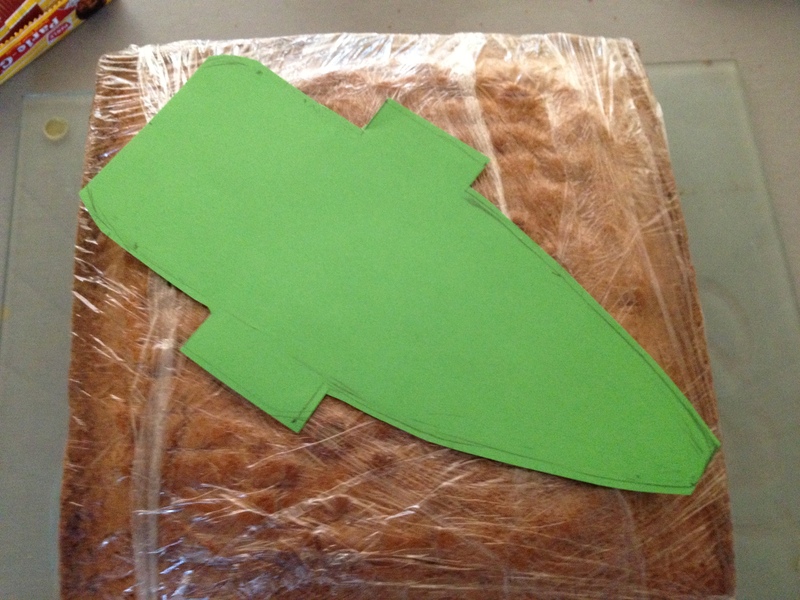 As always, I started with a stencil constructed as per the proportions of my son’s toy racing car. 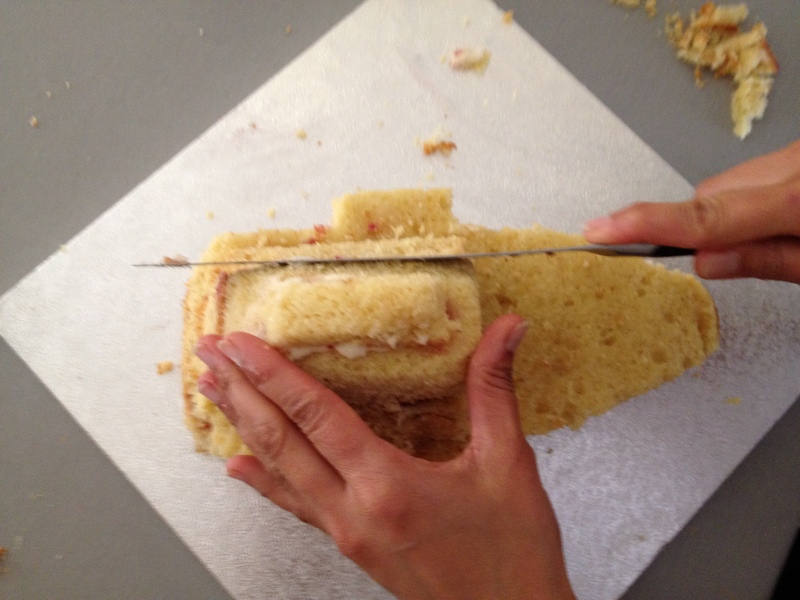 The cake was a 10″ square Victoria sponge cut out using the stencil. The cut out pieces were stacked and carved to get the right shape. 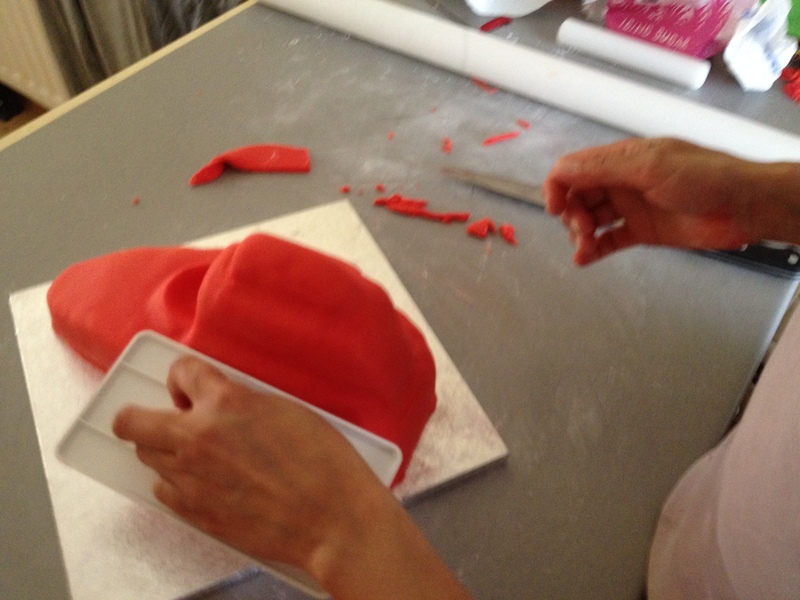 The cake was then covered with bright red sugarpaste and left aside to dry out. I have found this to be a great practice, if you can spare the time. 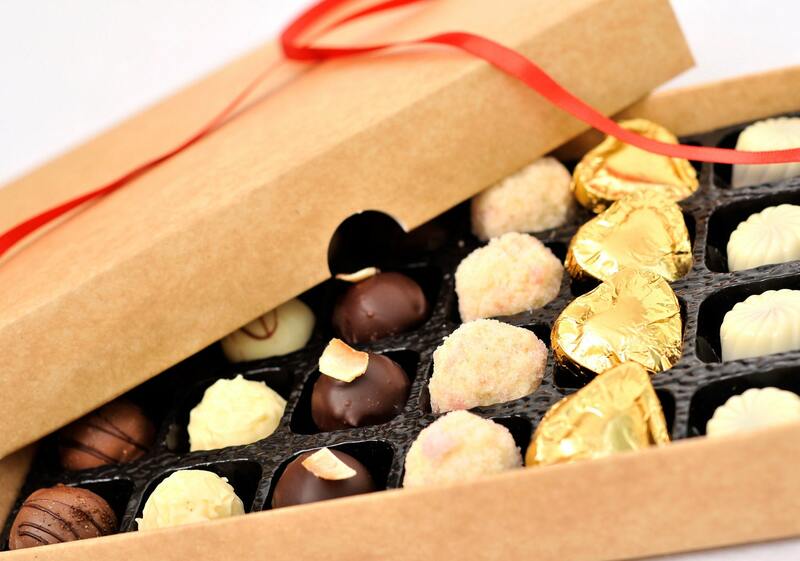 It ensures the icing does not show finger marks or dent when you are sticking or piping over the finishing touches. 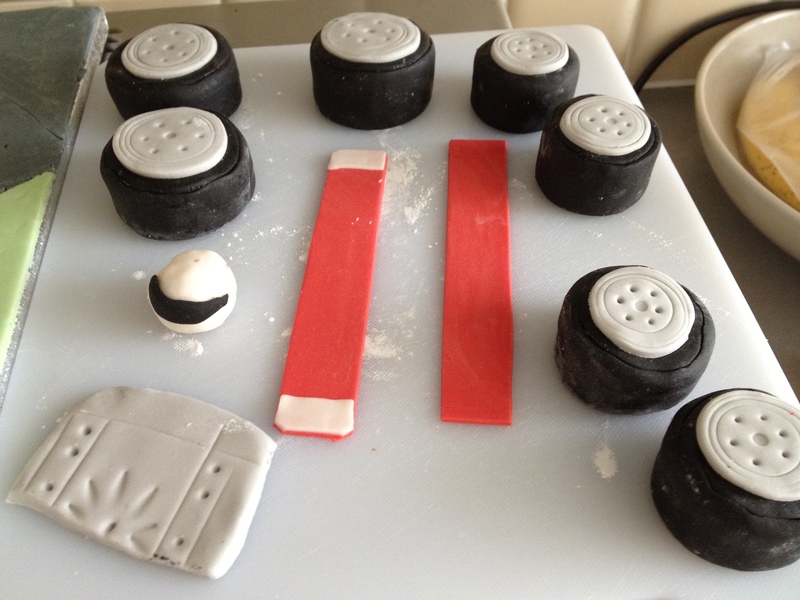 The other bits that went on the cake, like the wheels, the front strip, the exhaust pipes, stickers were made during this time. 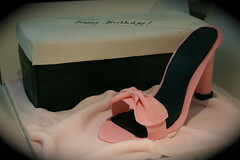 The wheels were made of circular cut outs of cake wrapped in black icing. 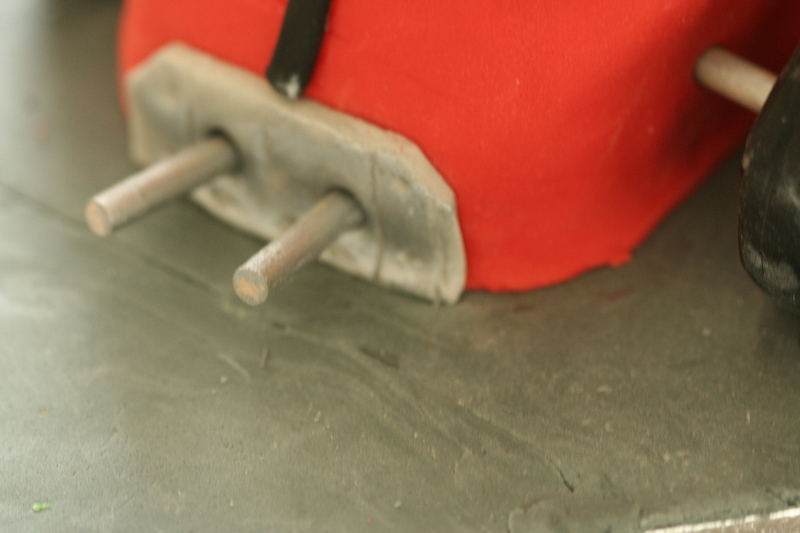 They were attached to the cake using silver coated wooden dowels. The exhaust pipes were also made using the same technique. 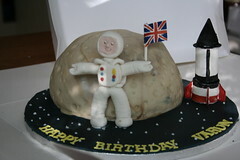 The driver (or the Stig according to my husband) was made out of cake scooped into a circle using a melon scoop. 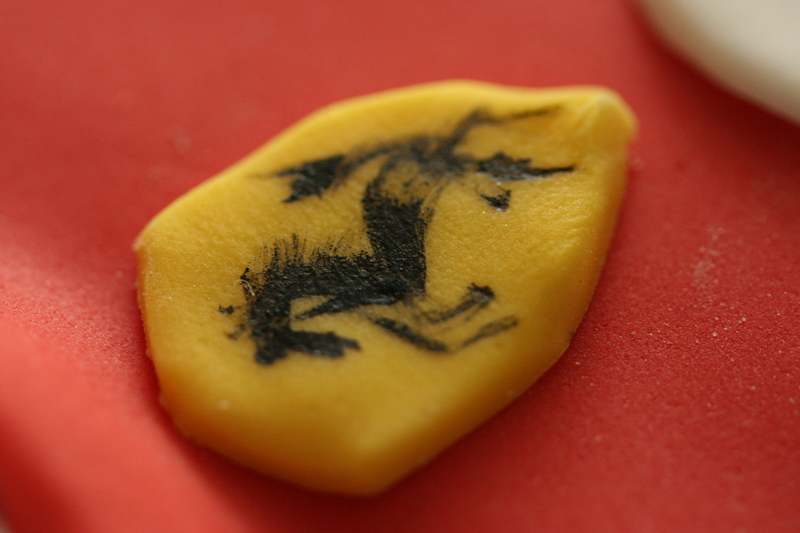 The number stickers and the Ferrari logo were hand-painted and stuck on with edible glue. When the cake was delivered, I couldn’t tell who was more excited – the boy or his dad! 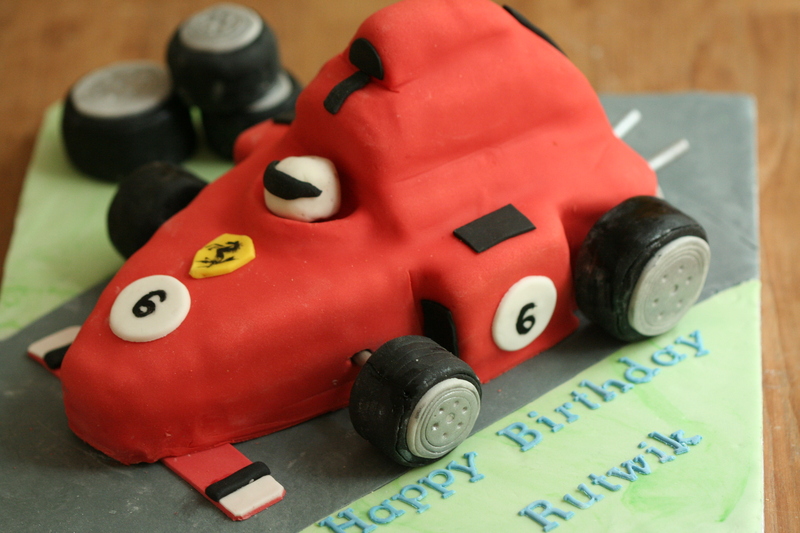 This entry was posted in Cake, Celebrations, Custom, Design and tagged "racing car cake", "red racing car", cake, car, f1, Ferrari. Bookmark the permalink. 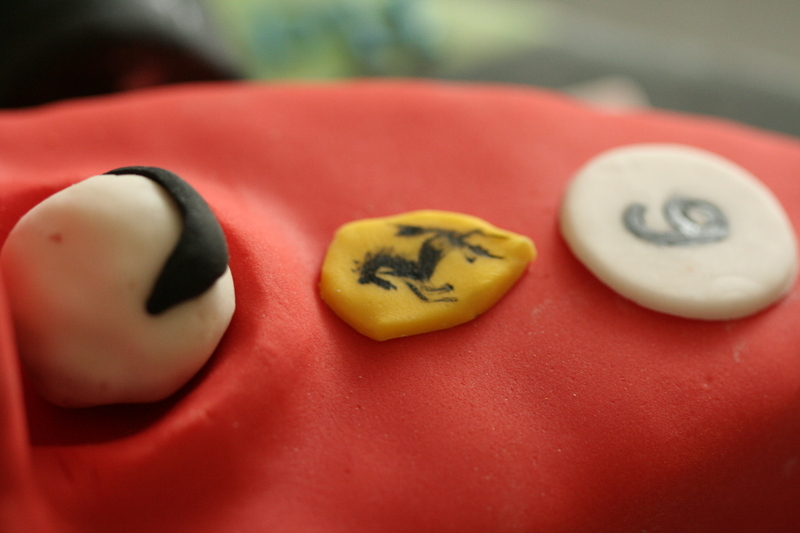 For a pastry chef operating from Woking, making a cake based on Ferrari F1 car. I hope the boys and girls in the McLaren F1 factory are not aware of this coup. Jokes apart interesting concept and well executed.